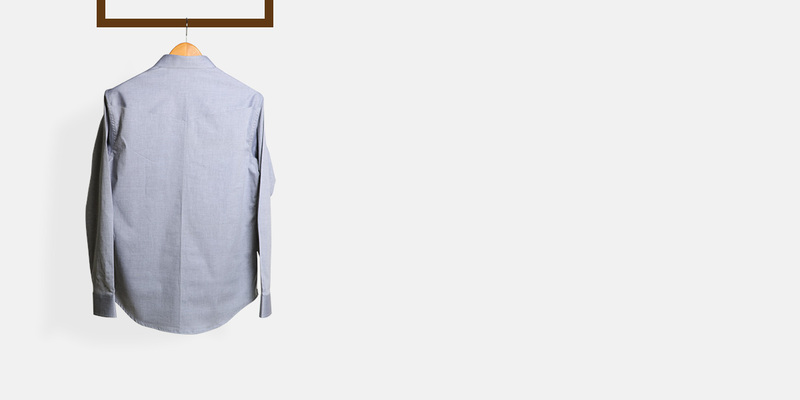 Giza Oxford Grey Shirt - (100% Cotton, Smooth Fabric) - Fitted by A.I. 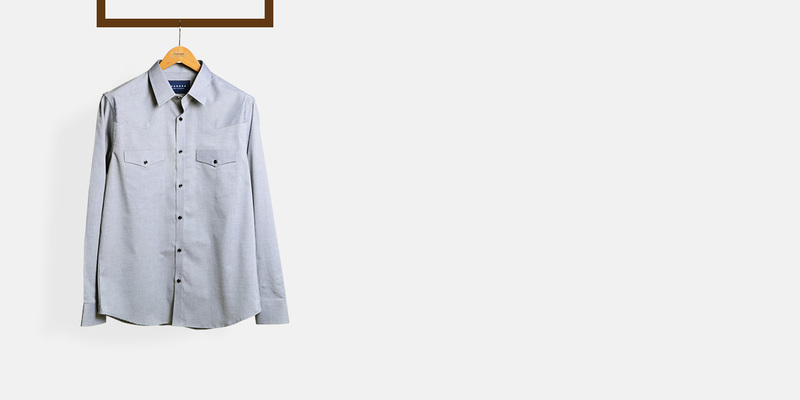 This Giza Oxford Grey Shirt can be personalized. Create perfection with a simple 3 step process. 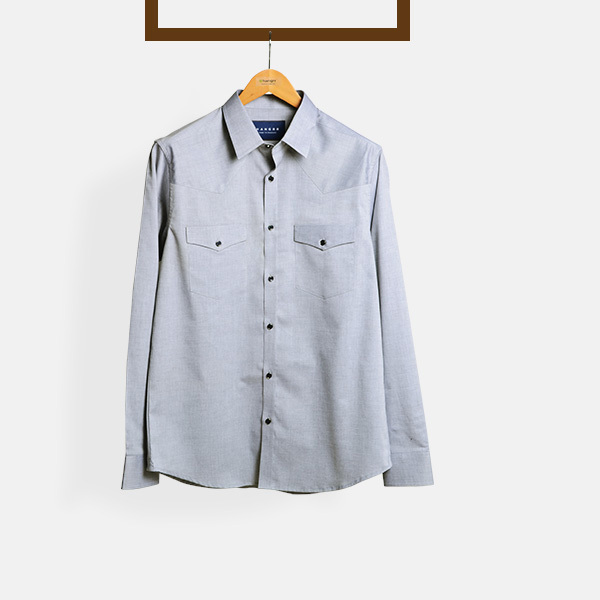 Western-inspired clothing is typically rugged, but this Grey Oxford shirt is clean-lined and refined. It is made out of Giza Cotton with flap pockets in the front and has a neat yoke style in the back. 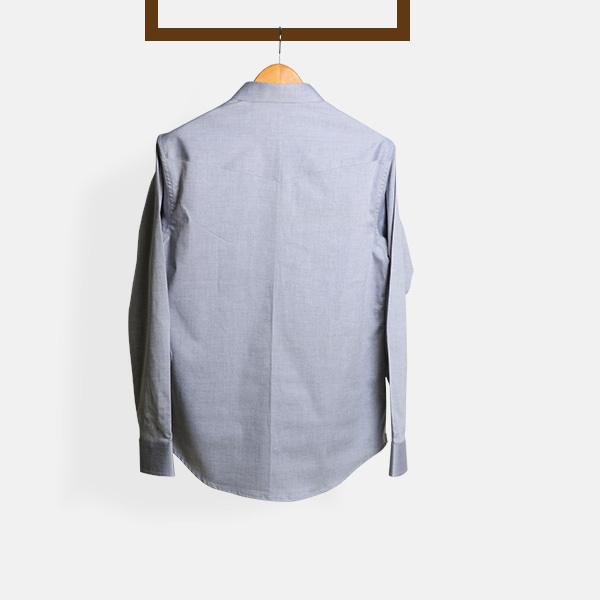 Owing to its lightweight and the versatile color grey, the shirt can be worn comfortably with layers with a suit or casually with a trouser or a denim. 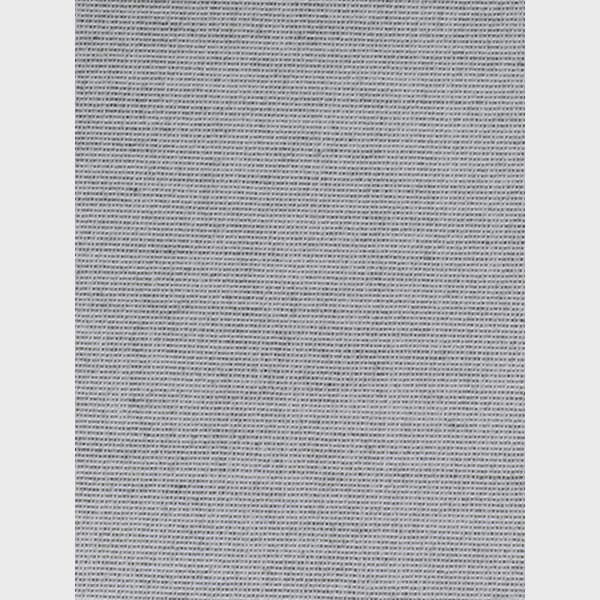 Presenting the - Open-Weave Grey Giza Cotton fabric. 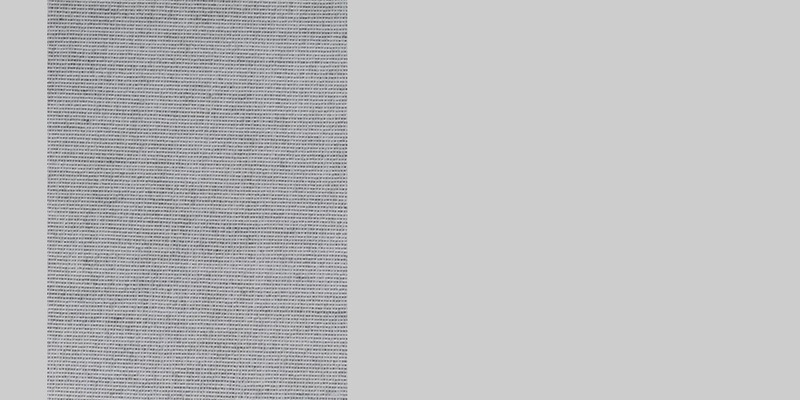 This amazing gray giza cotton fabric has a open-weave weave and is part of our smooth fabric collection. This fabric weighs around 98 gsm.